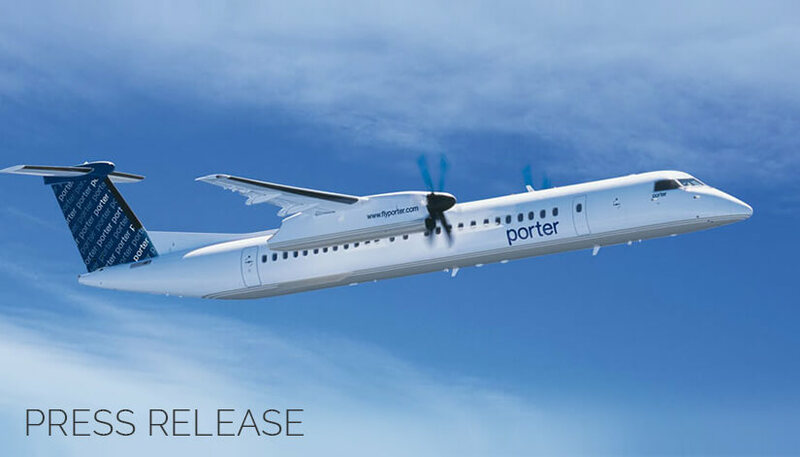 Porter Airlines, the acclaimed Canadian carrier, pursues its commitment to sustainable development by signing a partnership with OpenAirlines to use its innovative fuel efficiency platform SkyBreathe®. By this agreement, SkyBreathe® will analyze billions of data on aircraft usage that cover a host of elements including weather conditions, payload, flight path, ATC constraints and progress monitoring. Based on the collected data, the software computes hundreds of fuel-focussed parameters and provides easy-to-understand KPIs (key performance indicators) at the company level or down to each and every flight. Thanks to these reports, Porter Airlines will be able to monitor the performance of its fuel saving plan, comparing actual savings against set targets and to implement the most appropriate best practices to reduce fuel burn and save money. About Porter Airlines: Porter Airlines has revolutionized short-haul flying with a warm and effortless approach to hospitality, restoring glamour and refinement to air travel. Porter is an Official 4 Star Airline® in the World Airline Star Rating® and also rated as Best Regional Airline in North America by Skytrax. The airline currently offers flights to Toronto, Ottawa, Montreal, Quebec City, Moncton, Halifax, St. John’s, Thunder Bay, Sault Ste. Marie, Sudbury, Timmins, North Bay, Windsor, New York (Newark), Chicago (Midway), Boston, Washington (Dulles) and Pittsburgh, and has seasonal flights to Mt. Tremblant, Que., Stephenville, N.L., Myrtle Beach, S.C., Burlington, Vt., and Orlando-Melbourne, Fla. Vacation packages are available from Porter Escapes at www.porterescapes.com. Visit www.flyporter.com or call (888) 619-8622 for more information.